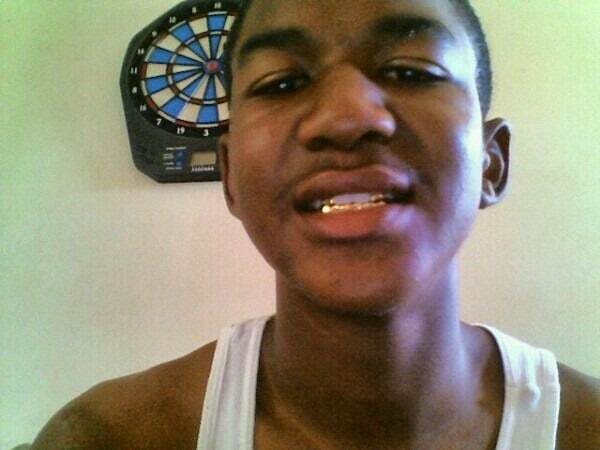 One must seriously weigh the decision to write about George Zimmerman and Trayvon Martin. Everyone wants to know whether you vote Guilty or Not Guilty, and someone is bound to be very disappointed with whatever answer is given, or the answer that is not given at all. And, with the nationalization of local crime, “someone” turns out to be quite large numbers of someones. Yet if we are able to reasonably discuss those things that threaten to divide us, in which the stakes of further division are high, hearing more voices is generally better than hearing fewer. Viewing the Martin-Zimmerman case from a distance, I naturally come to a conclusion about what the evidence shows, with one large caveat: I don’t know all the evidence. Nevertheless, I think that the evidence, as it has been reported, would support either the jury’s conclusion that Zimmerman committed a type of manslaughter (something less than premeditated murder) or its decision that Zimmerman acted in justified self-defense. At this point, most readers will disagree with me, perhaps violently, and claim that there is only one possible outcome from the evidence, and depending on your perception of the case, some will say the jury reached that one possible outcome while others will say it did not. Herein, as they say, lies the problem and the potential for a tumultuous national future. For if you believe that the only reason the jury reached a Not Guilty verdict is because Trayvon Martin is black and George Zimmerman is not-black, because it capitulated to the jurors’ own latent racist tendencies, because it is part of a long train of race-based abuses foisted on minorities by the majority government structure, then you will never be part of a solution to our nation’s real racial divide, but instead will exacerbate it. Similarly, if you believe that the only verdict the jury could have reached is Not Guilty because Trayvon Martin is black and George Zimmerman is not-black, because young black boys in hoodies are always thugs looking for trouble, because black people in gated communities must be criminals, because you refuse to consider the possibility of sinister racial motivations, then you, too, will never be part of the solution to our nation’s real racial divide, but instead will exacerbate it. Given how the conversation tends to go, one suspects, however, that a solution is not within human reach. Thabiti Anyabwile, in his post about this, states well the frustration some of us feel regarding the race discussion. First, for those holding a biblical worldview, there should be no race, only ethnicity. Second, in many situations, the race card is inserted to a deck that did not already contain it; in others, the issue becomes either only about race or not enough about race. Yet one thing that is always present in conflict between people, that never needs to be inserted, but that is almost always neglected, is not the race card, but the sin card. It is not right that anyone needs a Neighborhood Watch. It is not right that humans should use weapons against one another. It is not right that residents view certain other-looking people with suspicion for only that reason. It is not right that teenaged boys should die, or that entire families should face violent retaliation, or that riots and inciting riots should be seen as acceptable standard public discourse. Yet these things are not right, not because we have different amounts of melanin in our skin, but because we have an abundance of sin infecting our hearts. Right now, we engage in acts motivated by sin. Our assessment of those acts is distorted by filters tainted with sin. And our discussions with one another about those acts is also contaminated with sin. The trump to the sin card, however, is not hate or revenge or riots or government. The trump to the sin card is the gospel of Jesus Christ, the gospel that frees us from the penalty, power, and presence of sin when we admit our inability, repent, and trust the reconciliation to God that is found only in Jesus Christ. This gospel of reconciliation to God makes us ambassadors of reconciliation, and empowers us to live together, to love our neighbors as ourselves, to do to others what we would have them to do us. It enables us to live in meekness toward one another: not demanding of each other our rights, respect and reward, and to live hungering righteousness and justice for one another, not looking only to our own self-interest. Whatever the opinion of Christ-followers to the death of Trayvon Martin, and whatever our opinion about the acquittal of George Zimmerman, we should not allow this gospel to be eclipsed. Thank you for writing down what I’ve been talking about since the verdict. I really enjoyed the transition from race card to trump card! Brilliant. The reminder to those of us who follow Christ, is one we needed to hear. Truly, Trayvon’s own revelations of his life and thoughts revealed that he most needed repentance and redemption and forgiveness, more than justice. The factors that killed Trayvon are not being addressed, but his name and tragedy were hijacked and a false narrative created and marketed to the media. That false narrative is being used by radical leftist/Marxists from the Executive Office on down to counter and contradict US law and order and replace it with mob sentiment and opinion. This is not about Trayvon and the millions of fatherless Trayvons or justice, but the spread of totalitarianism and the destruction of the USA. PS – Have a daughter who graduated from Samford Law…another from UGA Law. Have a friend at Seminary in B’ham. 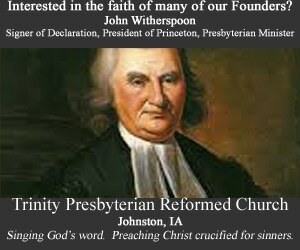 We as Christians are not at all called to stand for and or against any governmental system rather for only The Body and Church of Christ which has absolutely nothing to do with any supposed Government, Party, Christian denomination, non denomination and or organization that is embedded itself within the government through tax exempt status and or pastor that is licensed within this Beastly Babylonian system that is on top of the world today. When will you all wake up and realize you are all massively deceived by your own flesh and are today not even part of The Body of Christ and or following Jesus for He would never had led you to the position and or opinion your have taken and are in. Are fighting a losing battle and one you should have never entered into or be in in the very first place. Christ himself never ever made a stance for and or against the government and would barely even respond to them when questioned. Do you understand. Read your Bible this is Jesus/Israel/New Jerusalem 101, stop what you are doing and come out of this governmental Beastly Babylonian Church system and unite as The one and only true Church, The Body and Bride of Christ and get and be prepared for His return. Preach The Bible and not the government or its laws, human or civil rights, and or social justice which has nothing to do with the Body of Christ for there is not such a thing for the true Christian man or women of God just as there was and is not for Christ for we as He need not such human dignity and or recognition. Wake up I say and read and turn to the Word of God and “Come out of her my people” Honor GODS WORD before you honor mans ways and then and only then shall you be saved and enter into The Kingdom of Heaven when and where the government will be perfect and lie totally upon Christ shoulders and no longer mans where there will be total peace, love, joy, and serenity for all eternity with Jesus and The one and only true Church The Body of Christ. The New Jerusalem. Rob Bell has been off the reservation with his low view of scripture and high view of culture. So his support of gay marriage shouldn’t be surprising.